The Star Trek officer found her favorite alien and brought him home! Thanks! We had a lot of fun…. 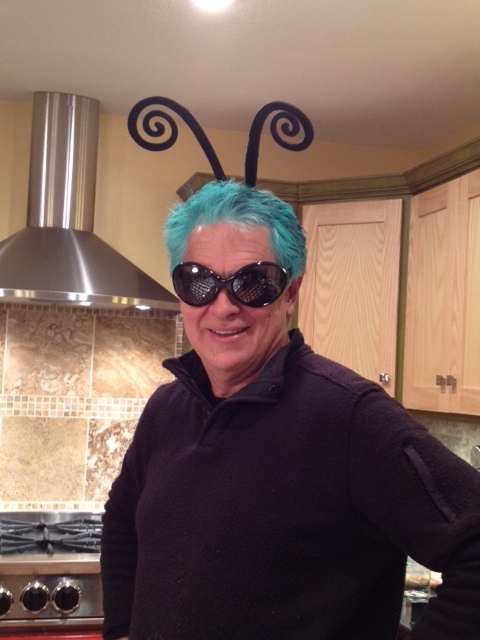 I love it Sally! 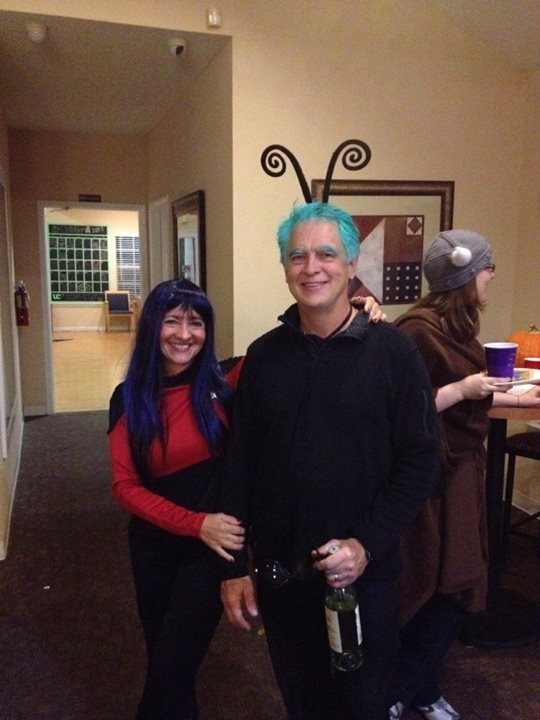 You rocked the costumes Trekkies 🙂 (and how about that gorgeous kitchen…). Kelly, I went to put the outfit away this morning, and found a small package with some golden star-shaped buttons to add to the collar… I did not notice the package there. So, you know, I will HAVE to find another opportunity to wear it again, obviously! How fun…You guys look awesome!!! LOVE It!! Love that you’re standing next to the kitchen beast, still new and shiny! You and your hubby look great! And right in front of that new stove!!! He really let you dye his hair that color?? He got the product from the hairdresser who cuts his hair – she advised him and taught him how to apply – I just helped a little doing the back of his head and the eyebrows – it is a hairspray totally washable with soap and water. Very cool product! 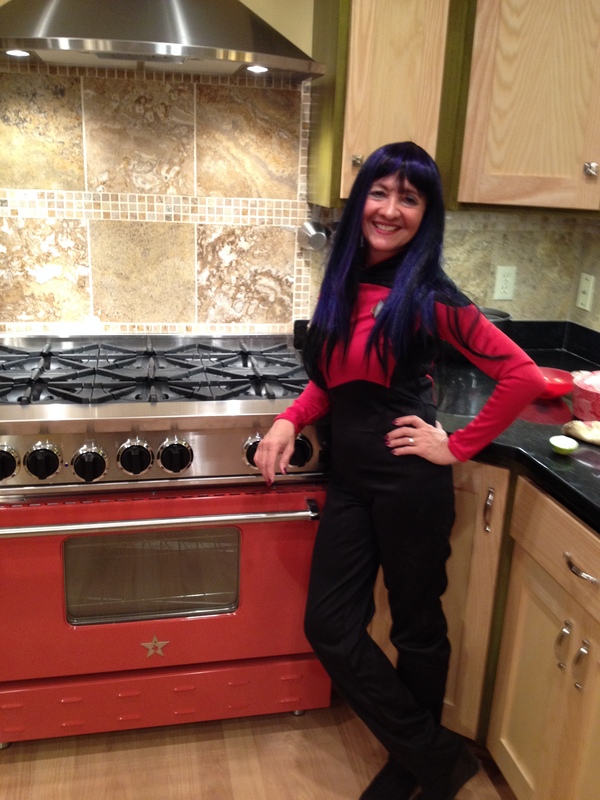 How perfect to coordinate your costume with your new stove:) Love it!! In fact, you two look very good! I’d no idea you were Trekkies. What fun! I was going to say I hope you had a great time but I noticed your favorite alien came with a bottle in-hand. This alien likes to party!